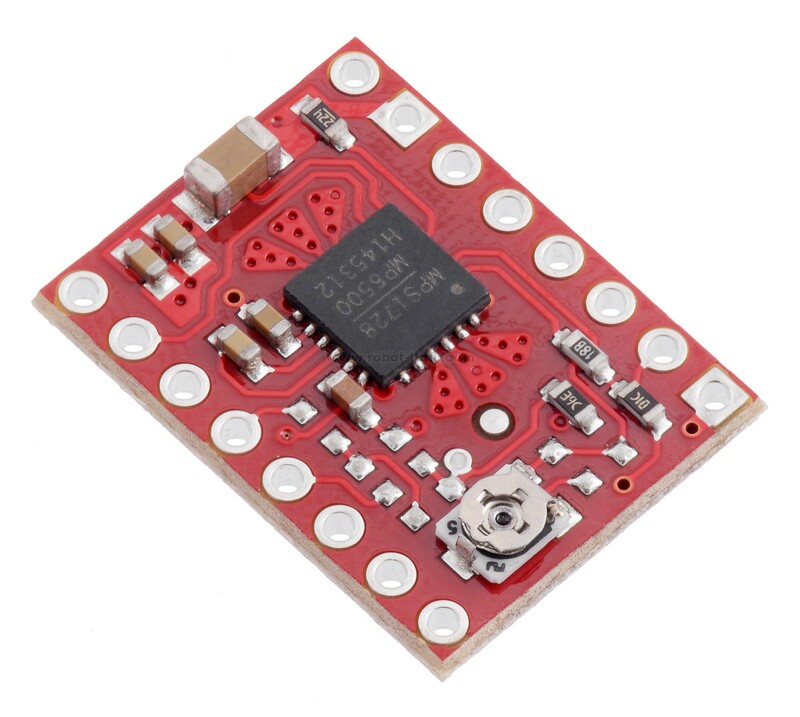 This breakout board for the MPS MP6500 microstepping bipolar stepper motor driver is Pololu’s latest stepper motor driver. The module has a pinout and interface that are very similar to that of our popular A4988 carriers, so it can be used as a drop-in replacement for those boards in many applications. 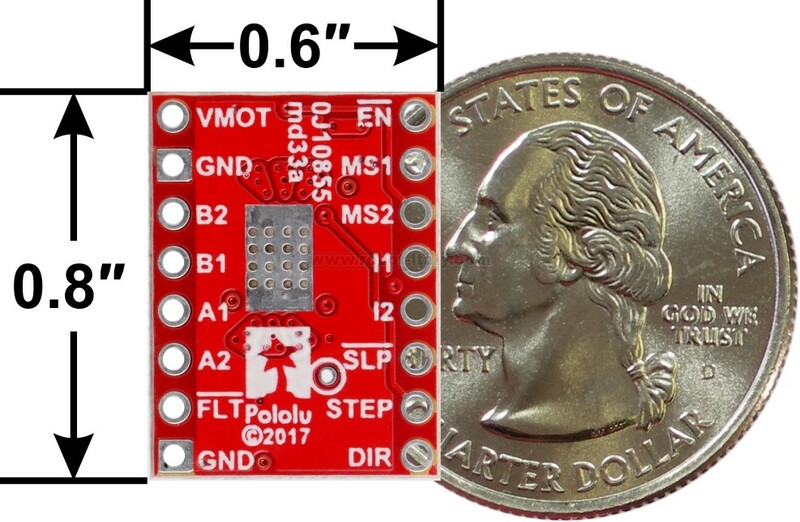 This breakout board for the MPS MP6500 microstepping bipolar stepper motor driver is Pololu’s latest stepper motor driver. 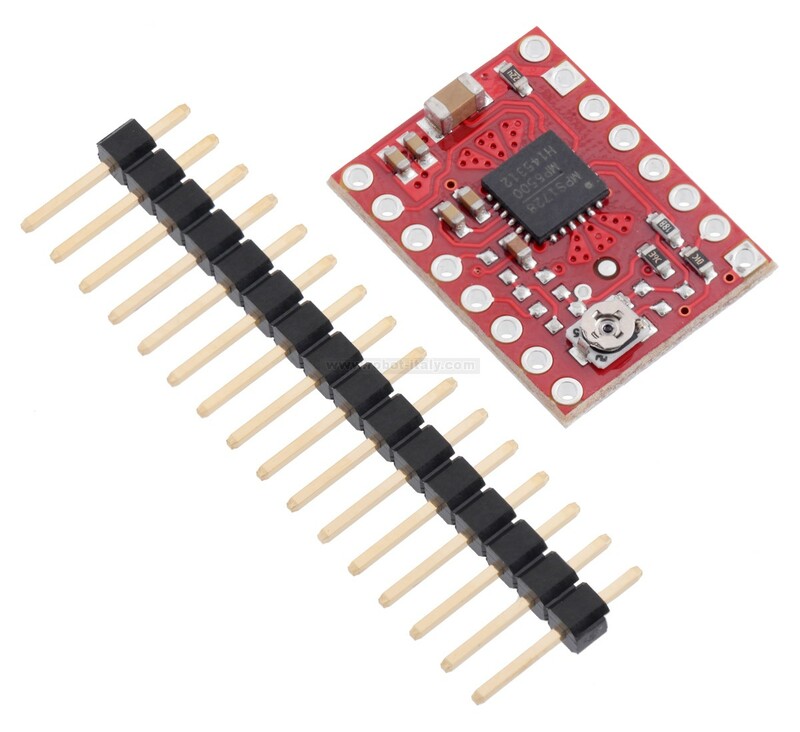 The module has a pinout and interface that are very similar to that of our popular A4988 carriers, so it can be used as a drop-in replacement for those boards in many applications. The MP6500 offers up to 1/8-step microstepping, operates from 4.5 V to 35 V, and can deliver up to approximately 1.8 A per phase continuously without a heat sink or forced air flow (up to 2.5 A peak). 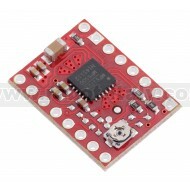 This version of the board uses an on-board trimmer potentiometer for setting the current limit, and the board ships with 0.1″ male header pins included but not soldered in. This product ships with all surface-mount components—including the MP6500 driver IC—installed as shown in the product picture. 2 Without a heat sink or forced air flow. 3 With sufficient additional cooling. This limitation comes from maximum achievable current limit setting on this version of the board. 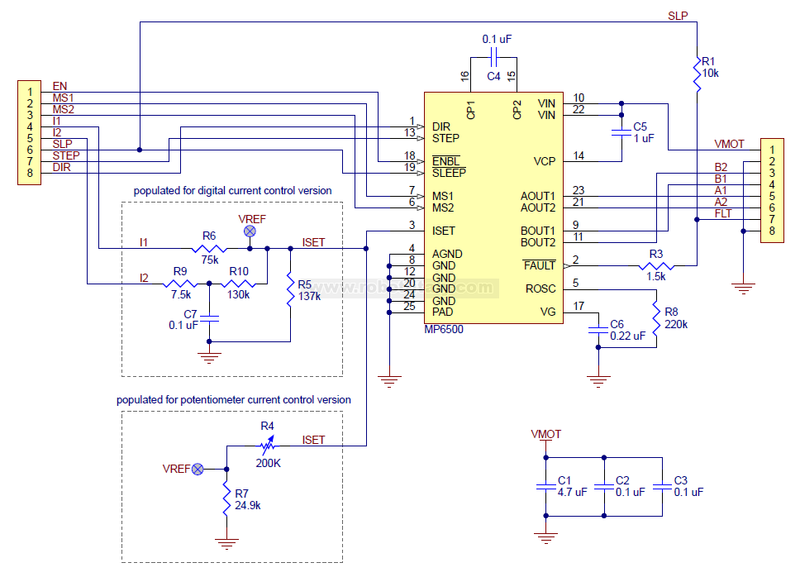 4 This is the input logic high threshold. 5 Absolute maximum voltage on any input is 6.5 V.